Shampoo: Brilliant shampoo, deserves all the praise it gets. It lathers a lot better than most natural shampoos. Has a unique (but pleasant) smell, which may take some getting used to. Kypris is one of those rare brands that ticks all the boxes for me. Their products are natural yet scientifically formulated, and all the products I’ve tried so far really work. 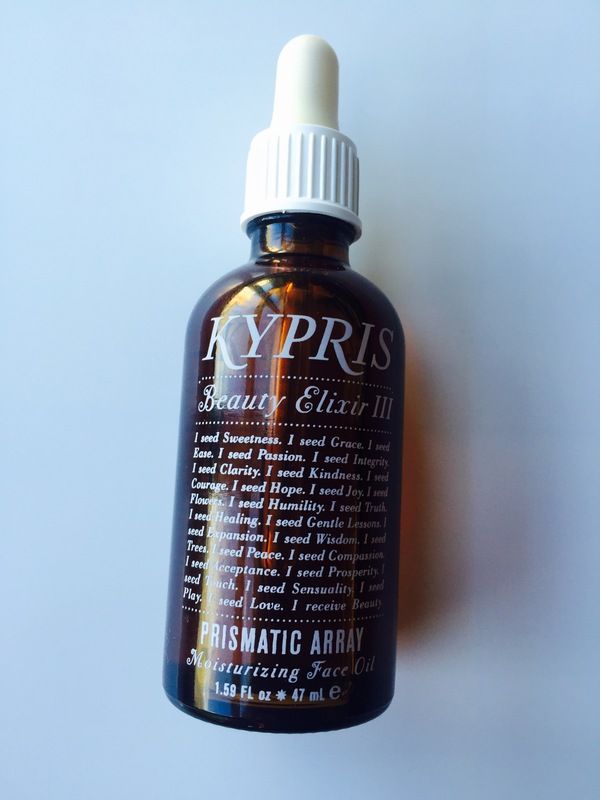 Kypris Beauty Elixir III – Prismatic Array is no exception. It is arguably one of the best face oils I’ve tried, and I just can’t stop raving about it. Which Elixir should I buy? I’ve been trying to simplify my skincare routine. After being sucked into the world of natural Korean skincare (thanks Glow Recipe!) and noticing how my skincare regimen was spiraling out of control, I’ve been trying to cut down on the number of products I use. It is lovely to have a satisfying regimen that includes 10-12 steps and a number of products with varying levels of viscosity, but did I really need it? Maybe not! So I’ve been on the search for some multi-tasking natural products. And that’s when I discovered Kypris.